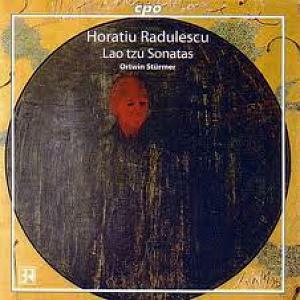 Interesting music, Otwin Stürmer playing Radulescu sonatas. The piano sounds a bit cold, hard and monochrome to me, I think that's a weakness. I don't suppose there's any other way to hear them. There are other recordings of a couple of them, but still with Ortwin Stürmer, so they may have the same problems. Otherwise, you'll obviously want this disc, which at least has one of the sonatas you seek. It's amazing and, based on the title, hopefully one of three or four. Yes thanks, it's strange to hear echoes of something, Bartok maybe, maybe Messiaen, in the second sonata. Clarke makes an interesting percussive sound, glockenspiel like at times, or woodblocks, I like that very much (makes me think of Annie Fischer a bit) It's very cool music. I haven't had a chance to listen to the quartet yet. Does anyone know if there's been a second installment in the Piano Sonatas & String Quartets series? We need more Rădulescu! The JACK Quartet lost half of its members in the meantime. That might have thrown a spanner into plans to further record. Also, Mode has been a knife’s edge financially since forever, and so it might not be able to release anything new unless at a particularly opportune moment money-wise. Mode new releases seem to be still coming, but very slowly. I'd expect further volumes but not for a while. The JACK Quartet is also doing fine, at least if their instagram feed is any indication, although still adjusting to the personnel changes. 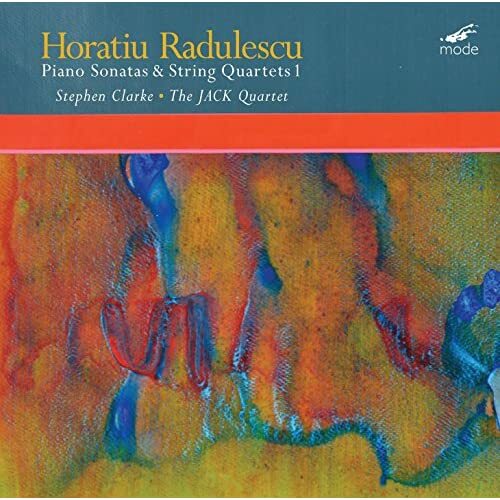 The NEOS label has announced a three-SACD set of Horatiu Radulescu’s complete piano works. The recording of the Piano Concerto here is presumably the old CPO recording from the 1990s reissued. The same might be true of the Lao Tzu Sonatas. That makes the SACD-ness of this release problematic. I hope that NEOS simply hasn’t added surround sound to the old recording with artificial means, like BIS’s “upsampling” on that label’s reissues of its earlier BACH cantata volumes. Big thumbs up! It'll be interesting to see how Stürmer's interpretations of nos. 2 & 5 compare to Clarke's superb readings.